I thought I was over the jet lag after my 13 hour sleep, but the next night I slept from 9pm until 3am, and this morning I slept a bit longer - until 5:30am! Not impressed! I did spend some of the early morning time blog surfing - and actually looked at my blog! [I appear to have two pages titled Finished Quilts - I need to sort that out :-] Do you know that this is post # 197 - who'd thunk it? Nearly 200 posts - and 50 followers, I am really chuffed - thank you all! The extra hours gave me a bit more sewing time too, LOL. So as I was awake at silly o'clock yesterday I decided to sort out my Australian fabrics. 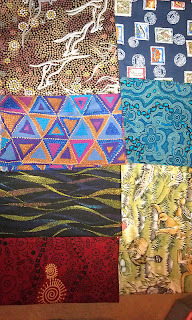 Some I plan on using in a quilt for me, but others were bought as Christmas gifts for patchwork friends and blog friends. As I looked at the various fabrics . . .
. . . it occurred to me that they wouldn't necessarily be of any use to anyone as a FQ - so I decided to make a few Fat Quarter bags (click for link to instructions), and then I started some more, and some more - I feel as if I am working on a production line: there are at least a dozen, if not more! I am so pleased to have this network of bloggy friends - mostly virtual, but some I have met, some have become family (thank you Jackie for the Christmas card from the Irish Cousins!!! ), some really are family (hi to my Mum and Daughter :-) but all are supportive, and funny and helped me feel grounded even while I was away and homesick - So to celebrate Christmas, New Year, 200 posts, 50 followers, a new kitchen floor being laid downstairs and anything else you fancy . . . to everyone who read and comments on this blog, please comment here, then I'll email you for your snail mail address, as I'd love to send you an Australian Fat Quarter bag. 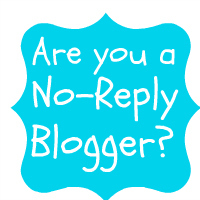 I'm a new follower I'm enjoying your blog. Sounds like you had a fantastic time in Australia. I love it there. The Australian fabric is beautiful. It is really hard to find here in CO. Happy Holidays. ooohh me me me - as if you needed to ask!! Am I allowed to pick - just for being cheeky? Love that top right print and the turquoise underneath heehee! I would love one please! Me ... I'm just grateful for anything, and just being here! I wouldn't dream of being picky! Hi Benta! As you know I'm your follow friend but now I have Nero also to your follow list. I'm so happy you made that amazing journey to Astralia but surely it's nice to be again at home for Christmas! Hi Benta, welcome home. What a lovely and generous idea to share some southern hemisphere sunshine. Thank you and here's wishing you a very happy Christmas and a healthy, peaceful and stitch-filled 2012. Hi Benta, the jetlag is not good, but you just have to find a way through. Not helped as it is so dark right now. I don't need any more fabric of any sort, so this is just a comment and not a giveaway entry! What a nice way to celebrate everything! And what a lovely selection of fabrics! Turning them all into bags just this side of Christmas though? Either madness or the mark of someone who has everything organised! Congrats on 50 followers and nearly 200 posts. Have just become a follower - so I will not miss your posts i n future Benta! Had thought I already was? Very Ozzie fabric! It was a good trip then?? Hope your body clock gets back to normal soon. Well done on the bags and the new kitchen floor! What a lovely selection of Aussie fabrics. I still have a few quarter that I bought from Aussie Dreams that make an appearance in scrap quilts and postcards from a few years back. They are just that bit different. I do hope your life gets back to normal soon. Have a wonderfully creative 2012.